THIS CLASS IS FULL. NO WALK-INS. Leadership Skills I (LSI) is the recommended first course for first-line, team leads, and/or new supervisors. There is a comprehensive test given after the class. If passed, the exam offers the credential of “AIDT Certified Leader I”. The class is offered in 2-day format. 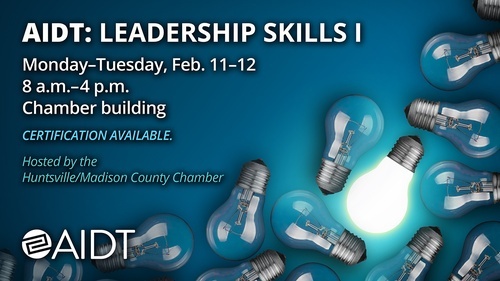 This class is designed for currently employed Alabama citizens who are in leadership roles in their respective companies. *This is a 2-day course.